The gap is gone, but this is still a battle between east and west. The 2018 League of Legends World Championship is mere days away from ending. And that means after weeks of nonstop action, upsets, and exciting story lines, a new country, region, and team will be crowned the champions. On the biggest stage of the tournament, Europe’s Fnatic will stare down China’s Invictus Gaming as both teams compete to see who can take home the trophy. And that alone is enough to raise the stakes higher than they’ve ever been, because the trophy has belonged solely to Korea since Lee “Faker” Sang-hyeok and SK Telecom T1 began their rampage in 2013. After three total Worlds victories from SKT and another two from Samsung, the only thing any non-Korean team has cared about for years has been beating Korea and taking the crown. And likewise, the only thing Korea has focused on has been maintaining their reign as the elite region and defending the title. This year, the terrifying beast known as Korea was finally conquered, and now, a Chinese team will take on a European team in the finals. It happened, it just didn’t happen at all like anyone predicted it would. If you’ve ever heard of the story of David and Goliath, it has a lot of similarities to the competitive League scene. To paraphrase the original Bible parable, Goliath and his army were preparing to siege and destroy the kingdom David lived in. Each day, Goliath would emerge from his camp and tell David’s people that if they brought forth a champion to fight him and defeat him, that the coming battle could be entirely avoided. Pretend South Korea is Goliath. 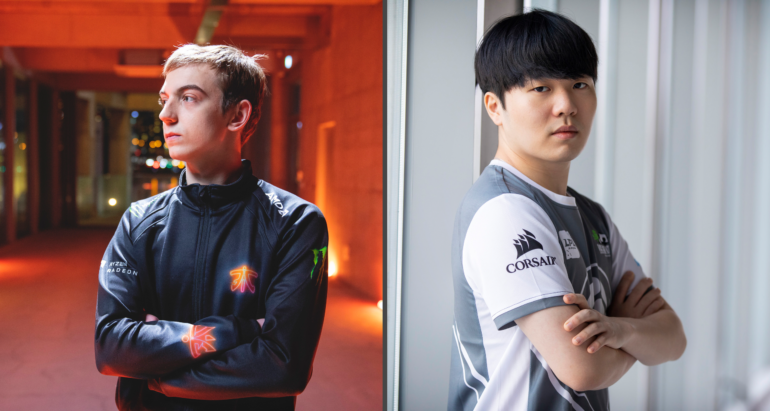 Every year, analysts and fans tear through the list of Worlds contenders to see which team has the best chances at making finals and finally overthrowing the Korean reign. This year, and every year since 2015, RNG was David. If they could make it to finals against Samsung, SKT, or whomever, they might be able to slingshot that pebble at Korea’s head to bring them down. KT Rolster, as Korea’s super team, was this year’s Goliath. And that’s where the similarities end. Why? Because, if you’ve been following Worlds so far, you’d know that neither KT Rolster nor RNG are in the finals, because they were taken out in the quarterfinals. Not only that, but every single Korean team was out by the end of the quarterfinals, meaning Goliath had been defeated already. Fnatic and Invictus climbing their way to the top is the story’s equivalent of two random people coming out before David and Goliath’s battle, killing both David and Goliath, and then fighting over which of them would actually be declared the winner. No matter who wins the finals, the fans are all winners already. Goliath is dead, three LCS teams and one LPL team stood tall in the semifinals, and now it comes down to Fnatic and IG. 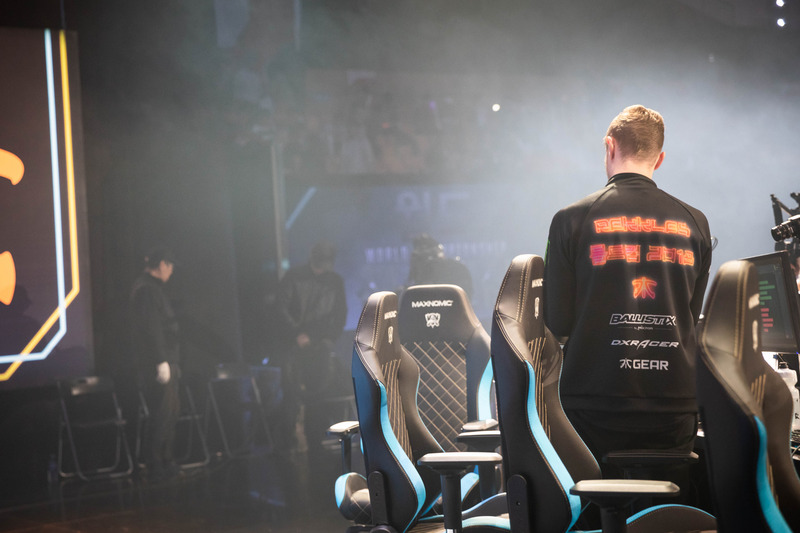 The gap between Korea and the rest of the League world is effectively gone, and all that remains is to see who takes home the glory of closing it. That’s the most exciting thing League esports fans have witnessed since Faker won Worlds as a rookie in 2013. Now, Fnatic and Invictus will battle for the glory of taking home the first non-Korean World Championship trophy in half a decade. With Korea out of the picture, we can zero in and focus on what each of these teams has riding on the line, and there’s certainly a lot there to digest. Invictus has played in the shadow of RNG for a very, very long time. RNG has always been heralded as the world’s best chance at beating Korea, with eyes on legendary bot lane carry Jian “Uzi” Zi-Hao to carry them through. Invictus, on the other hand, hadn’t even been to Worlds since 2015, and then again before that in 2012. 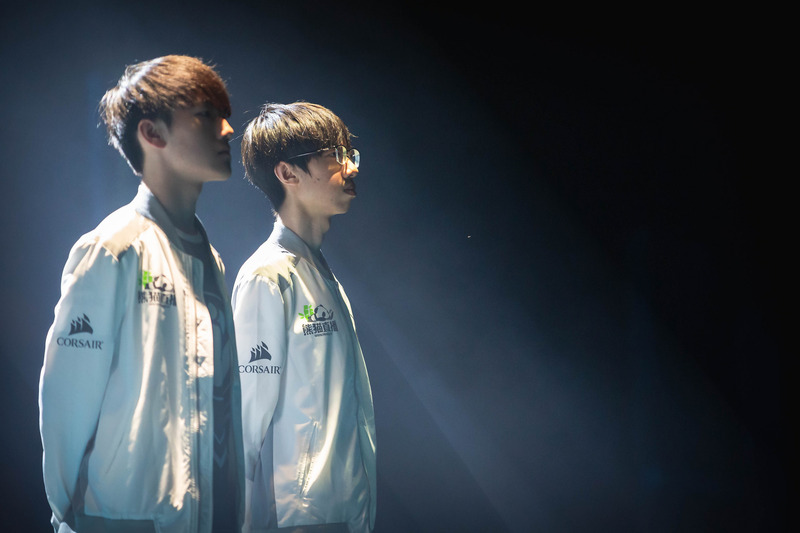 This year, they won the LPL regular season in both the Spring and Summer Splits. It was finally going to be their year to represent China as the first seed at Worlds, but RNG beat them in the finals of the LPL Summer Split playoffs, so they were forced down to the second seed. 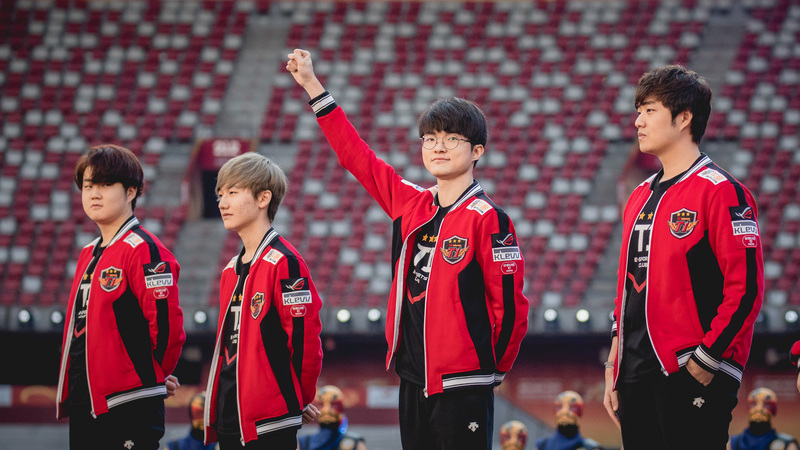 Not only did they prove they’re superior to Uzi and RNG by making it two rounds past their LPL rivals, but now they’re suddenly China’s best hope at taking home the trophy. Not to mention Lee “Duke” Ho-seong and Song “Rookie” Eui-jin. Duke was on the SKT squad that won Worlds in 2016, and now, as one of IG’s top laners, he finally gets another chance to reclaim the throne. And Rookie, who bailed from Korea and joined IG in 2014, has been trying desperately to reach this level of success since leaving. Now, he’s the best mid laner in the world, and he’s only one series away from earning the title in Korea, the region he left to begin with. That’s one hell of a homecoming. Fnatic is in a similar boat. After winning Worlds in 2011, they, and the rest of Europe, have been trying to prove they should still be taken seriously in comparison to the LPL and LCK. They’ve made it to the Worlds semifinals a couple times since then, but this is the closest they’ve gotten to winning it all. Many analysts even consider them to be the favorites. Not only are Fnatic finally back in the Worlds finals, but they also have the hopes and expectations of the all League fans in the western hemisphere riding on their shoulders. They don’t only represent Europe, they represent both LCS regions. Korea is gone, sure, but now Fnatic has to prove that the gap between the east and west is gone, too. And the only way to really make sure the point has been made is to defeat the east’s representatives in the Worlds finals. They also have a massive grudge against the LPL, as the region is directly responsible for kicking them out of the last Worlds and MSI. In other words, they really, really, really want to beat IG this weekend. As easy as it was to predict favorites for a majority of Worlds, specifically the quarterfinals, it’s extremely difficult here in the finals. Sure, all of those predictions went out the window when G2 beat RNG, IG beat KT, and C9 beat Afreeca, but they were still easy predictions to make. With Fnatic and Invictus now, however, there are just too many factors that muddy the water. You could start with the fact that Fnatic beat IG twice in the group stage on the final day to prove they were the group’s best team. With those wins, Fnatic has already shown they know how to beat IG, and therefore they shouldn’t have a problem now. You could easily dispute that with two facts, however. First, a lot has happened between the group stage and now. A lot. And you could argue that the IG we saw in the group stage is very different from the one we saw 3-0 G2 last weekend. The most compelling part of evidence here is that they beat KT in the quarterfinals, and KT were favored to win Worlds even over RNG. For that matter, they also beat G2 in the semifinals, and that was the team that knocked out RNG. IG’s side of the knockout bracket was more challenging than Fnatic’s, and IG still made it through. There’s also the very terrifying thought of Fnatic having to face Rookie in a best-of-five series. They figured out how to beat him in two best-of-ones at the end of the group stage, but in a best-of-five, the superstar will be able to flex his very deep champion pool to outsmart Fnatic in ways we couldn’t have even imagined during the group stage. Fnatic’s mid laner, Rasmus “Caps” Winther, is very good, too, but Rookie is better, even if only slightly. So can we pick favorites here? We could try, but there wouldn’t be a point. On paper, both teams have the tools and evidence that they can beat the other, and it’s going to come down to who shows up in the finals—Fnatic or Invictus. The LPL or the LCS. The east or the west. It all kicks off with the finals opening ceremony this Saturday at 2:30am CT.